Stay at our Brenham TX B&B in beautiful Chappell Hill TX, located on the Bluebonnet Trail. Beautiful guesthouse on storybook Texas Ranch. Located halfway between Houston and Austin. Perfect for girlfriend getaways or a romantic getaway! Our Texas Ranch Guesthouse Cottage has two separate suites; The Rose Suite or The Star Suite. Jacuzzi, Outdoor Spa, Fireplace in a stone Outdoor Kitchen that resembles a Pioneer Texas Cabin. Gourmet breakfasts that foodies will love are served in your suite or dine in the Outdoor Kitchen. Blue Bell ice cream is waiting for you. Romance Packages, Girlfriends Getaway Packages and Massage Spa packages complete your visit. Horses and Belted Galloway cows are grazing in the pasture. Getaway to the country and enjoy great restaurants, wonderful shopping, wineries, Blue Bell ice cream,Antique Rose Emporium and the opportunity to relax and enjoy a simpler way of life. Better Homes and Gardens, Deck, Patio and Outdoor Living April 2014 issue, "Remember the Alamo"
Cote De Texas features Southern Rose Ranch in "A Visit to a Bed and Breakfast in Washington County"
Featured in April 2009 Texas Highways' articles "Going to the Chappell" and "Wildflower Drives". 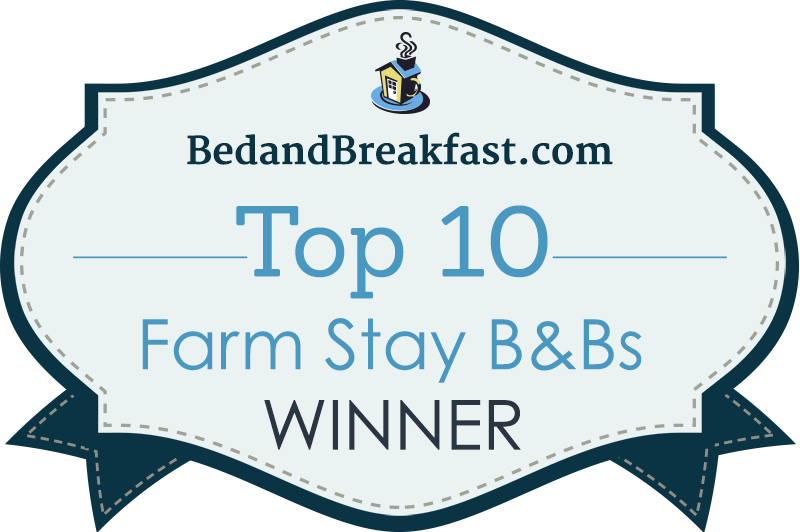 *Featured on the 2007 Chappell Hill Lavender Fest "Tour de Lavender"
(Brenham/Chappell Hill) website as a place to "Stay and Play"! Belted Galloway Society and Chappell Hill Historical Society.